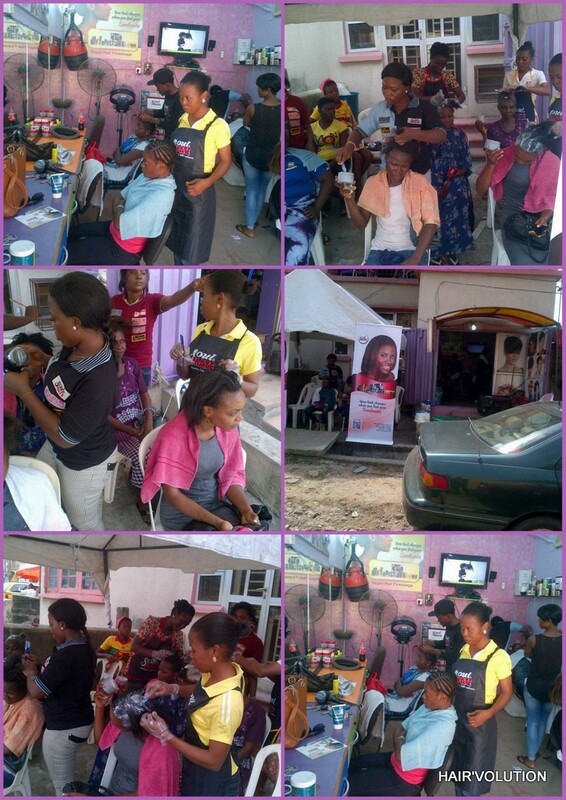 Segun Hair Finessage salon was agog with activity as the Soulmate Industries hairdo tour train berthed in Akoka, Yaba to interact and engage with its loyal customers. The event was part of its popular 'Soulmate Free Hairdo' campaign; wherein loyal customers and users of Soulmate haircare products, especially the flagship Soulmate Haircare Relaxer, get to have their hair done free of charge. From the moment the Soulmate crew rolled in till very late in the day, the venue was packed with a wide cross-section of clients and loyal customers keen to partake in the activities, engage with the Soulmate products on show, as well as discuss with the Soulmate staff. The activity was another stop in the new campaign for free haircare activation tour for loyal customers of Soulmate Industries, in tandem with the ongoing Soulmate salon branding exercise across the metropolis. The activation tour will cut across major areas in Lagos, with the aim of spreading to other hub areas in the country and regions on the continent. This initiative is part of the company's strong corporate social responsibility drive and serves as another engagement platform to connect with its customers.